Gary Mauris is billing Dominion Lending Centres’s sponsorship of three of the largest home shows in Canada as a profile boost for all brokers, and not just his members. 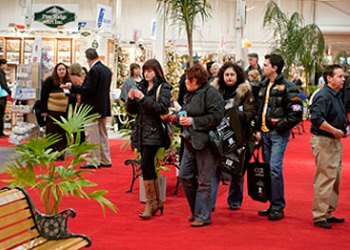 As the Family Day sponsor for the BC Home & Garden Show on February 21, the Calgary Home & Garden Show (March 1) and the National Home Show & Canada Blooms in Toronto on March 15, the network will provide activities and giveaways focused on children and their parents. Some of those activities sponsored by DLC will include face painting, crafts, and Bob the Builder shows, with free admission for DLC agents and clients part of the package. But the industry is more interested in tracking how effective the marketing and outreach strategy will be in yielding future business for the network and its members as the market slows. Those eyes were also on DLC’s recent Super Bowl ads, with industry analysis mixed on whether the bang for the buck will extend past the DLC brand and its agents to mortgage professionals outside the network. Still, some brokers have used the high-profile campaign as a call for associations, lenders and other networks increase their own presence in print and other media -- a way of better educating Canadians on the services of brokers. Great job Gary and the DLC head office team!!! DLC head office has reached out once again to help promote our industry!!! Congratulations on your forward thinking for the industry as a whole!!! It is good to see another brand participating in consumer oriented events.